In just a few days, Jeremy and I will have been married a whole eight months. Eight months! I can hardly believe it. I'm sure I'm not the only one to say that now that we're married, we don't "date". What I mean is, we spend so much time together and do everything together but alot of time there are distractions or other things getting in the way of our time with the two of us. Before we were married, we spent a lot of time together one-on-one. We didn't live together, so the times we saw each other were special and we were focused on each other. We weren't anxiously checking game scores or emails or twitter. I am a firm believer that you should be conscious about dating your spouse. 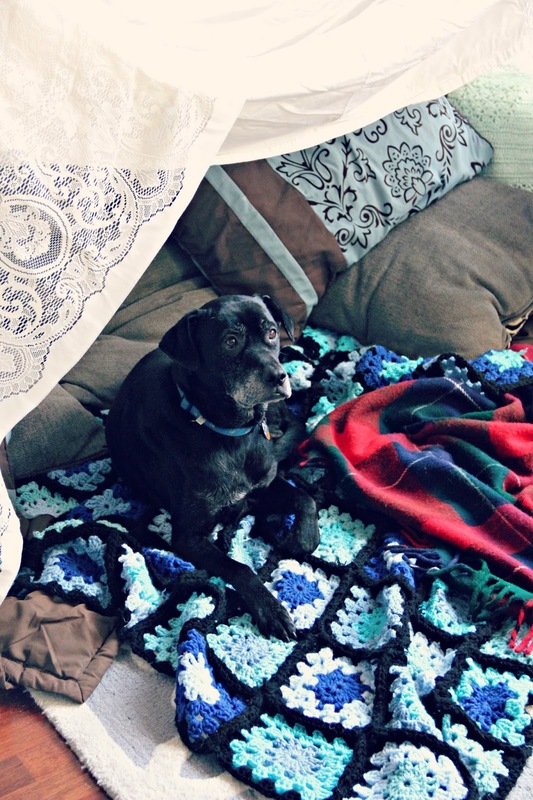 We decided to do something different and have a stay-at-home date this weekend so.... we built a fort. 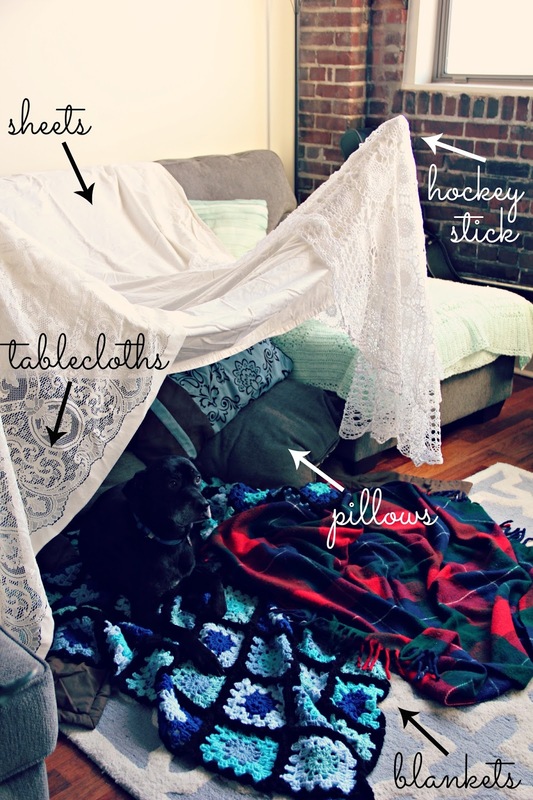 We had a crazy amount of fun going around the house gathering things that would make a cozy fort in our living room. We started by moving our coffee table and shoving some hockey sticks into our couch cushions. Then, we draped a sheet and some pretty table clothes over that to make the roof and walls. We took all the pillows off our bed and grabbed every blanket we owned to make fort comfy. Once it was done, we popped some Pop Secret popcorn and watch a movie. It was perfect. Even our animals loved it! 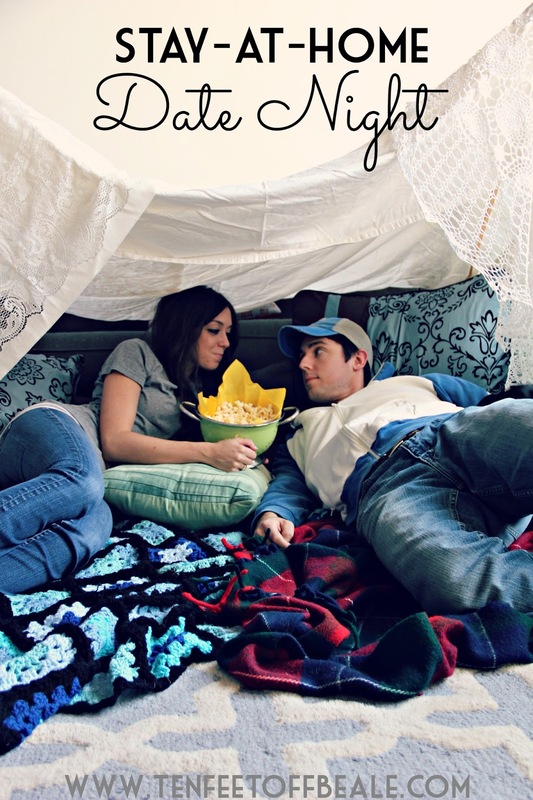 Building a fort and watching a movie was the perfect stay-at-home date for us and I definitely encourage everyone to try it. If you do build a fort, you should absolutely positively submit your photo to the Pop Secret Facebook page by using hashtag #PopSecretForts for a chance to win some fun mystery prizes and rewards. 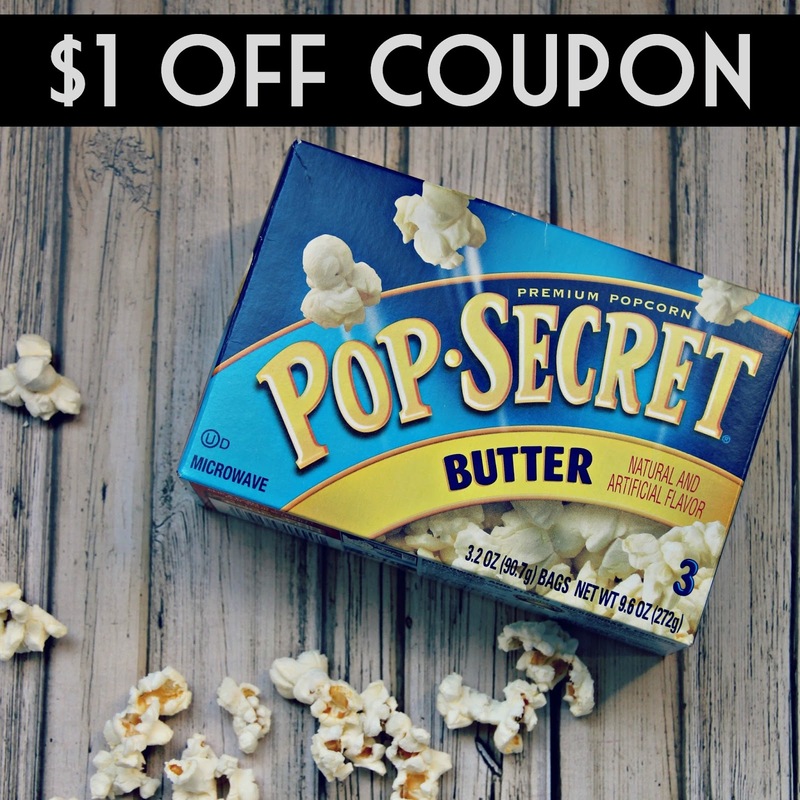 Psssst here's a coupon for some Pop Secret!! 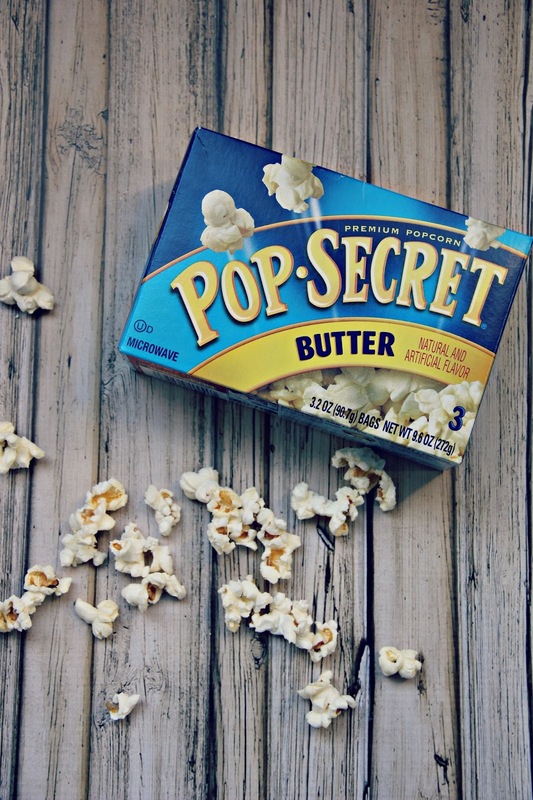 Many thanks to Pop Secret and Linqia for sponsoring today's post! As always, all opinions are entirely my own. Love the fort! Really fun idea. Just thinking my husband and I should do that sometime, then I realize our couch cushions no longer remove! Absolutely adorable! Love how your fort turned out! Ahhh I love this. Whoever said forts were for kids were soo wrong! OMG, I love it! And how your pup made himself (herself?) right at home. Too adorable. No significant other to build a fort with, but I'm tempted to do so on my own this weekend since its supposed to be rainy! Many residents this sitelive in the US find the need to make home improvements season by season. The main reason for doing these is to make their homes look newer, improve on the architecture, bring new technologies in the home and even increase the value of their homes.